Welcome to Week #4 of the OCG 2018.01 format. 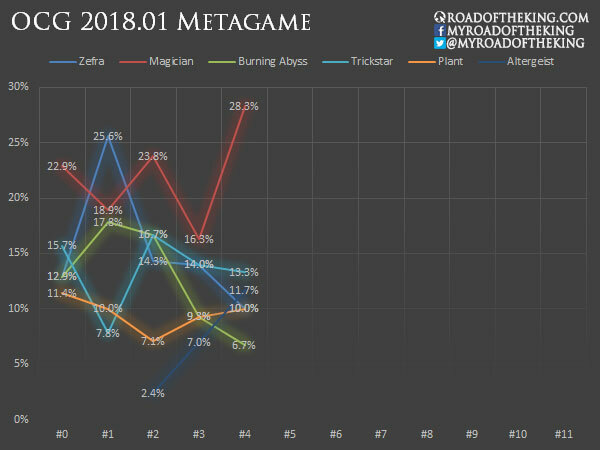 This report will cover 60 top-performing decks from 8 tournaments that were held in Japan and China during 27 – 30 January 2018. 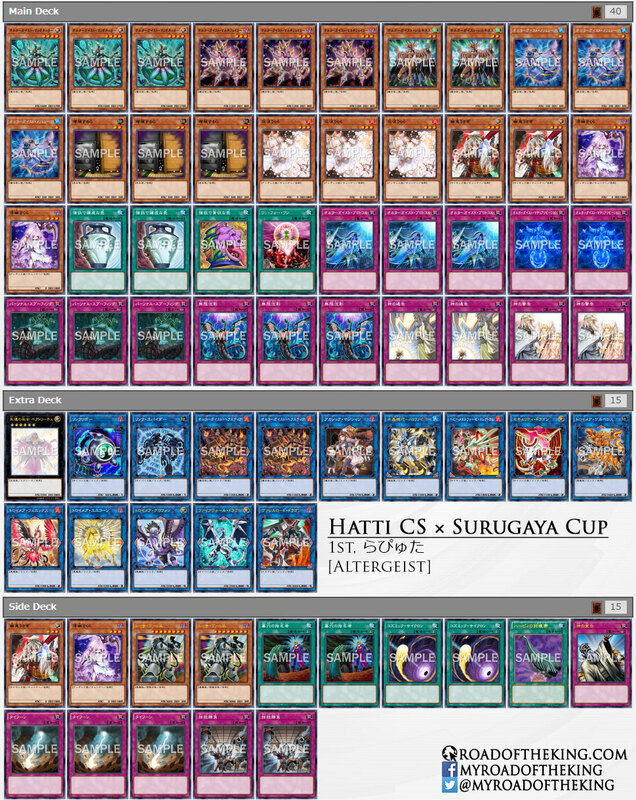 Yukikaze went 7-2 and finished 2nd in “Hatti CS × Surugaya Cup” (Team 2v2) which had 48 teams (96 participants). In his Side Deck, he ran 3 copies of Extra Veiler against Plant. Extra Veiler has the advantage of playing around Called by the Grave, but it only halts the First-Turn-Kill (FTK) combo from Phoenixian Cluster Amaryllis. Since Extra Veiler Special Summons itself onto the field, it could be used as a material for Link Summoning on your next turn. This conflicts with Blackwing – Gofu the Vague Shadow though. Kinako Mochi (きなこもち) went 6-1 and finished 2nd in “28th Oretachi CS” which had 54 participants. He has a extremely aggressive approach with Invoked Trickstar, choosing to drop the slower Scapegoat, and running Twin Twisters in the Main Deck. One of the typical play is to Special Summon Trickstar Lilybell and then using it with Aleister the Invoker to Link Summon Aleister the Invoker of Madness. This allows him to perform 2 Fusion Summon and push for tons of damage. Even if this is not lethal damage, this would bring the opponent’s LP low enough to be finished off by the effects of Trickstar Candina or Trickstar Lycoris. 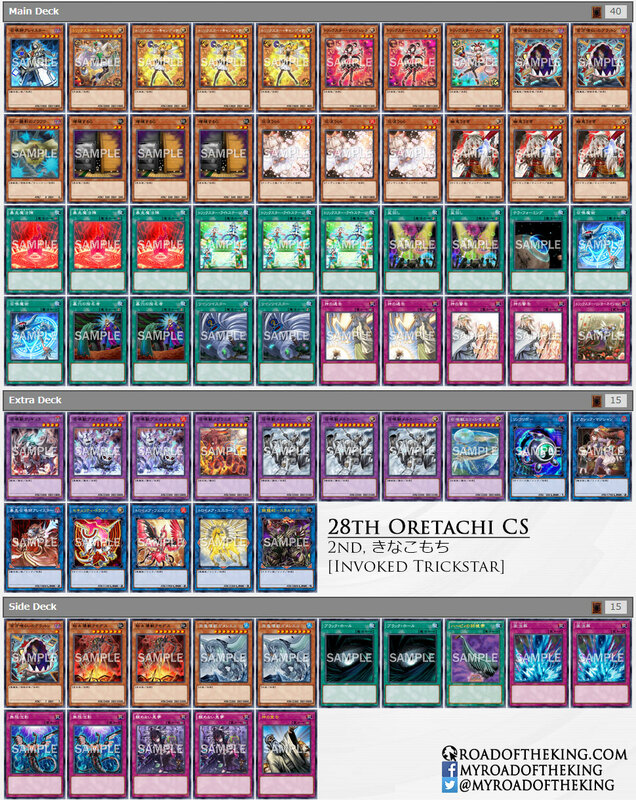 Invoked Trickstar is just a very niche variant. The standard mono Trickstar with Scapegoat is still the more popular and established build. Laputa (らぴゅた) had a good run over the weekend, achieving consecutive victories in two team tournaments. 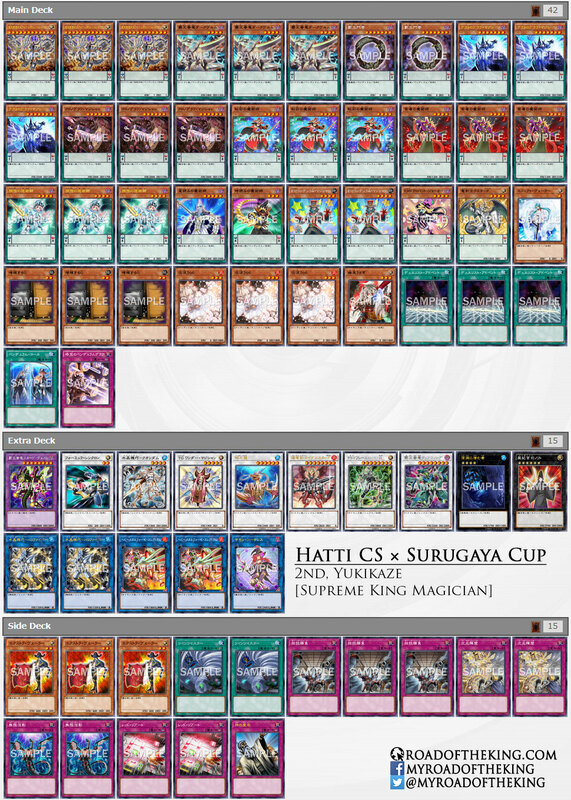 On Saturday, he went 8-1 and finished 1st in “Hatti CS × Surugaya Cup” (Team 2v2) which had 48 teams (96 participants). On Sunday, he went 6-1-2 and finished 1st in “Hatti CS × Dragon Star Cup” (Team 3v3) which had 40 teams (120 participants). The release of Altergeist Multifaker in Flames of Destruction has propelled Altergeist to competitive level. 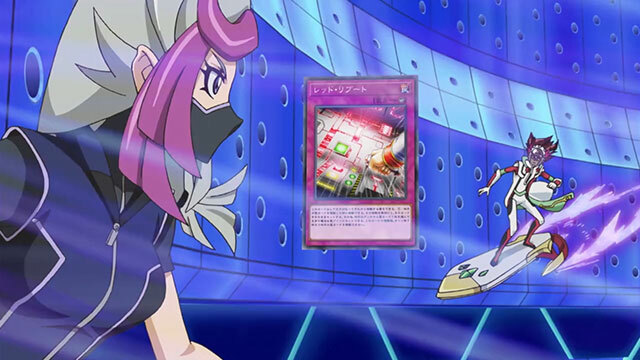 Multifaker is an exceptionally flexible card that is both useful offensively and defensively. During your own turn, Multifaker helps to develop your board. On the opponent’s turn, Multifaker can Special Summon Altergeist Silquitous to bounce an opponent’s monster. Bouncing Heavymetalfoes Electrumite or Crystron Needlefiber would often heavily limit the opponent’s play. Even when going second, Infinite Impermanence can be activated from hand to fulfill the trigger condition of Multifaker from hand. Altergeist Protocol ensures that the activation and effects of Altergeist cards will resolve without being negated, and it comes with an effect that negates the activation of an opponent’s monster effect. These make Altergeist an arduous control deck to play against. Asagi (アサギ) went 7-2 and finished 2nd in “4th Yu-Ky CS” which had 70 participants. Called by the Grave and Red Reboot are two of the biggest additions from Flames of Destruction that Plant has benefited from. Called by the Grave allows Plant to go off with their FTK without being disrupted by ‘hand traps’, while Red Reboot allows them to One-Turn-Kill (OTK) when going second. Often a second or third ‘hand traps’ and Trap Cards are required to disrupt Plant since the first is very likely to be negated. 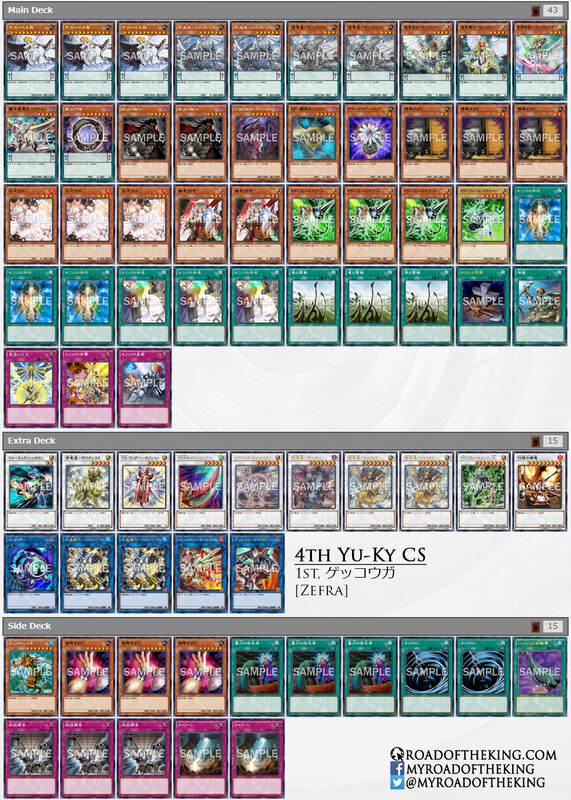 Gekkouga (ゲッコウガ) went 7-1-1 and finished 1st in “4th Yu-Ky CS” which had 70 participants. Zefra are running PSY-Framegear Gamma in the Main Deck again as it plays around Called by the Grave. The performance and surge in popularity of Altergeist are causing players to be wary of them. More cards being allocated in the Side Deck prepared against Altergeist. 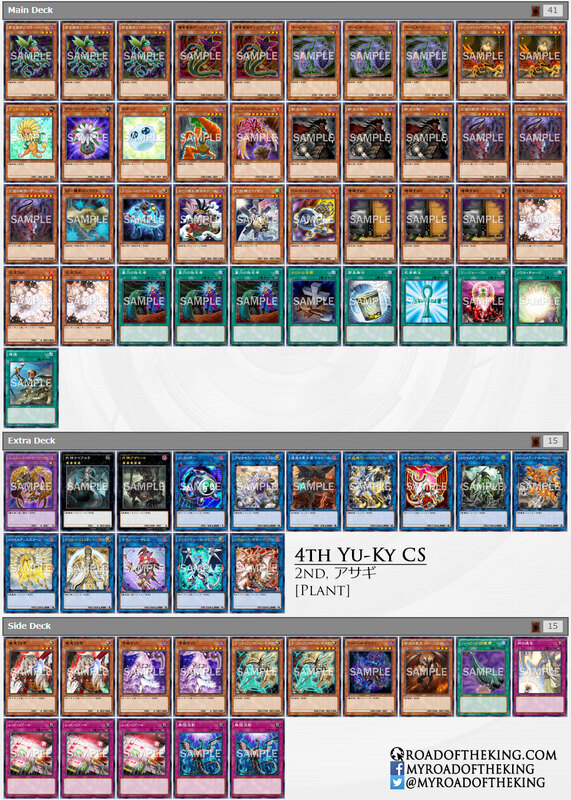 Currently, Magician and Plant are already running Red Reboot in the Side Deck. 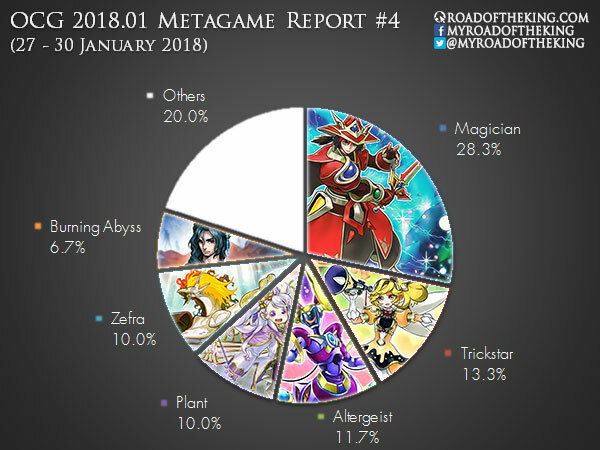 Red Reboot is very effective against Altergeist, but it is only useful for decks that are able to OTK, before its drawback becomes a disadvantage.